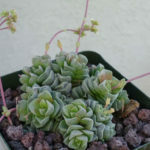 Crassula ‘Dorothy’ is an attractive dwarf hybrid between the species Crassula susannae and Crassula deceptor. 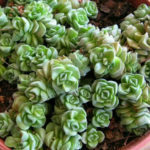 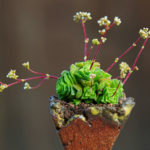 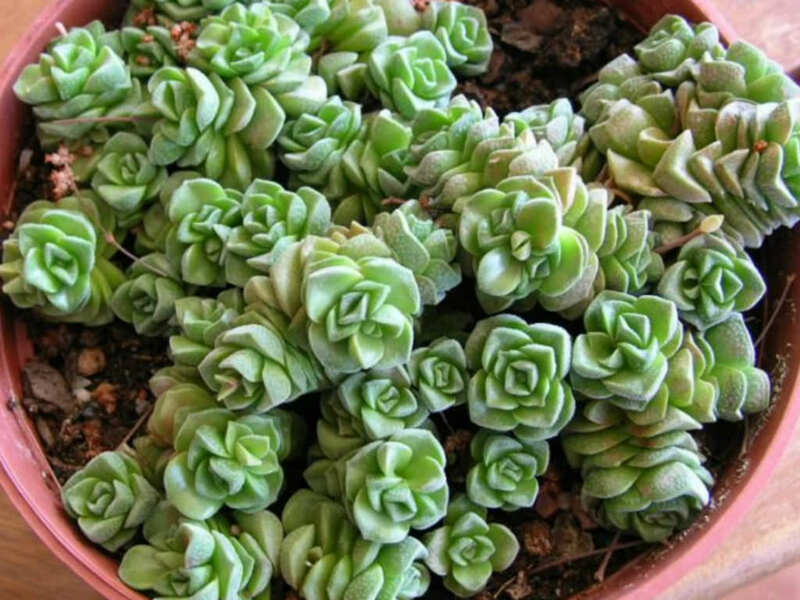 It is a very slow growing succulent plant with thick rosettes that clump readily. 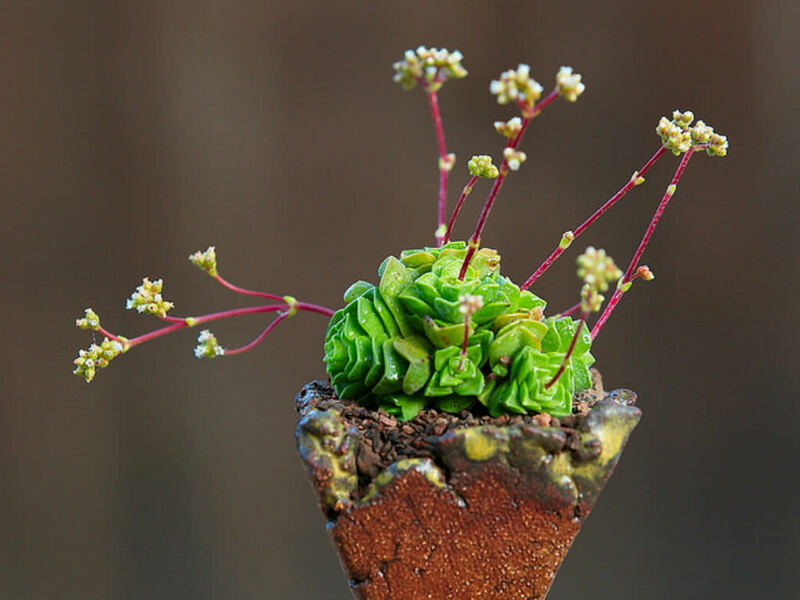 The rosettes shows a beautiful design and are larger than those of Crassula susannae, but still quite small. 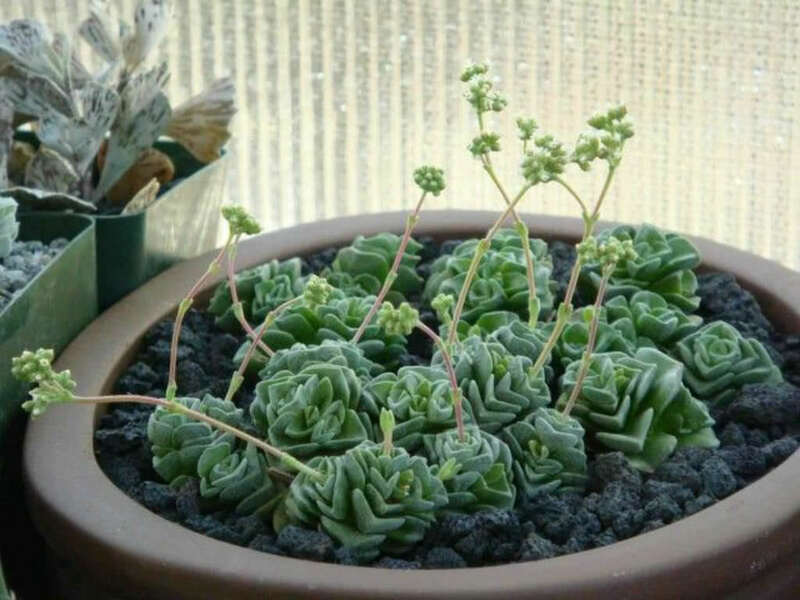 The white flowers appear in autumn and each rosette that is even hardly big enough develops an inflorescence, so the plant flowers abundantly. 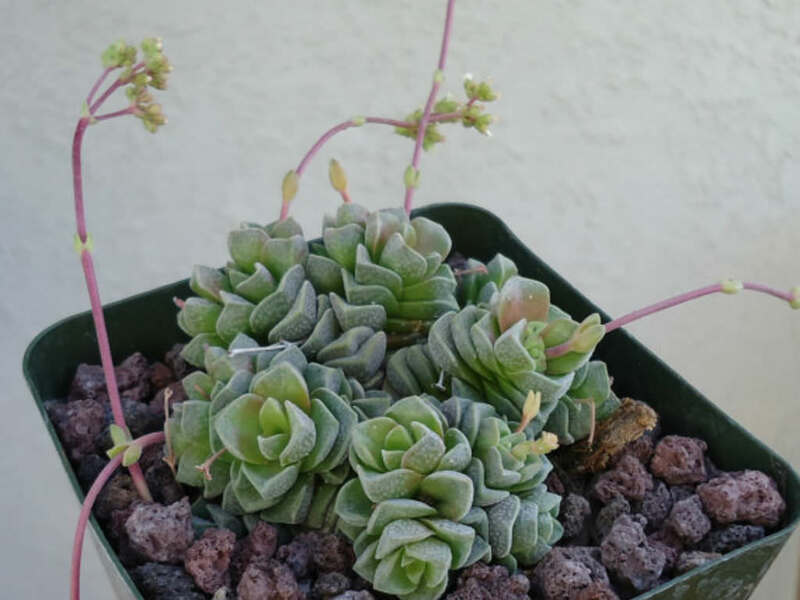 Hybrid of Crassula susannae and Crassula deceptor.